From Ireland, Paul McNamara is based in The Netherlands where he is Artistic Leader of the Dutch National Opera Academy. The tenor has sung in theatres throughout Europe where his many notable successes have included his debut in Venice at La Fenice as Wagner’s Tannhäuser conducted by Omer Meir Wellber and critically acclaimed performances at the Deutsche Oper Berlin in Braunfels’ Szenen aus dem Leben der heiligen Johanna. 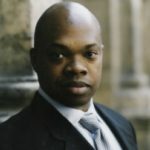 Further afield, the tenor won widespread approbation for his North American debut with the American Symphony Orchestra under its chief conductor Leon Botstein, where his performance in Max von Schillings’ opera Mona Lisa was hailed by the audience and critics alike. Operatic engagements elsewhere include the Teatr Wielki in Warsaw, Théâtre Royal de la Monnaie in Brussels, NI Opera, Cape Town Opera, the Opera Lesna in Sopot (Poland), Opera Ireland, the Janáček Festival in Brno, the National Opera in Almaty, Kazakhstan, the Theatro Municipal, Rio de Janeiro, the Landestheater Linz, and with the Salzburg Festival at the Beijing Music Festival. Concert appearances have taken him to many of the world’s leading venues including the Berlin Philharmonie, the Pierre Boulez Saal Berlin, the Amsterdam Concertgebouw and New York’s Carnegie Hall as well as to the Telemann Festival in Hamburg with Akademie für Alte Musik Berlin. In addition to Wagner’s Claudio (Das Liebesverbot), Erik, Loge, Tannhäuser, Tristan, Siegfried, and Parsifal, McNamara’s extensive repertoire encompasses roles by Monteverdi, Cavalli, Mozart, Weber, Meyerbeer, Tchaikovsky, Leoncavallo, Dvořák, Strauss, Janáček, Zemlinsky, Berg, Britten, Previn, Penderecki and Adams. An alumnus of the Royal Irish Academy of Music, Paul McNamara is an honours graduate of the University College Cork, the Cork School of Music and the Royal College of Music London. Furthermore, he is a founding director and CEO of Opera Collective Ireland.